Home /Cancer/What is Chemotherapy ? The treatment through which different kinds of cancer are treated by destroying the cancer cells is known as Chemotherapy. The medicines that are used during the treatment are known as anticancer drugs. When there is uncontrollable growth of cells it leads to cancer. 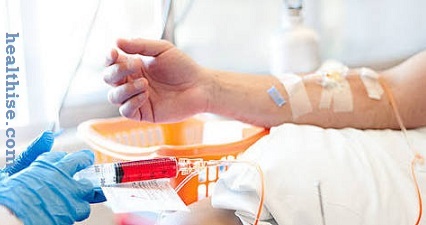 Though chemotherapy is associated with cancer, it is also used to treat conditions that are non-cancerous. There are about 200 types of cancer and it is treated with the help of over 50 types of chemotherapy medicines. It’s a normal phenomenon to have growth and death of cells in a body, but when a person is affected by cancer the normal cells grow uncontrollably. In order to kill the cancer cells the anti cancer medicines are helpful. When the medicines directly reach the blood it helps to kill the cancerous cells fast .As each medicine that is used has different effects it is at times used in combinations. Apart from the chemotherapy medicines there are other medicines also that are used for cancer treatment as these medicines directly block the effect of the hormones of the body. In order to boost the immune system of the body and treat the substances that are present in our body, biological therapy is used. These substances that are found in our body are in very less quantity and they are effective in fighting against the cancer cells and other such diseases. The substances that can kill the cancer cells or change the ways in which the body reacts to a tumor can be made in the laboratory. 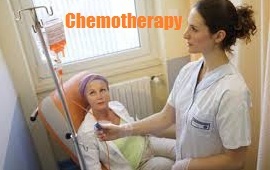 Though chemotherapy may lead to lots of side effects it’s seen that if the treatment is successful then the cancer cells vanish permanently .During the treatment of cancer healthy parts of the body are also get affected which are the digestive system, the hair follicles, the lining in the mouth, and the bone marrow. Chemotherapy treatment is always done in several sessions as in each session some of the cancer cells get destroyed and after each session a rest period of some days is given so that the normal cells and tissues recover properly. The treatment that is given for cancer depends on the type of cancer, the part of the body that is affected, the health of the patient as well as effects of cancer on other parts and functions of the body. When a person goes through chemotherapy treatment he faces fear as well as anxiety and depression over come him. Thus it is advisable for the patients and his relatives to get a very clear picture about the disease and the treatment that is being given from the doctor and get all the queries answered before going for the treatment as it’s very important to feel mentally as well as physically well before the treatment starts.